Quality of life has recently gained prominence in the urban affairs, development, and planning debates. A wide-range of factors have been linked to quality of life, including environmental health, commute times, arts and cultural amenities, school quality, housing availability, and economic concerns. The accessibility inherent in multimodal transportation is critical in the functioning of metropolitan areas. What has not been explored is the association between multimodal transportation and urban quality of life. 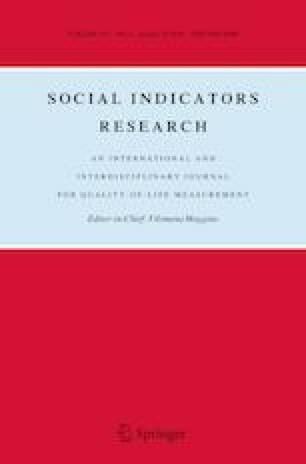 In this paper, we adapt the method of urban sociologists, Harvey Molotch and Richard Appelbaum, to explore the association between multimodality and 12 measures of quality of life. We analyze 148 cities in the United States with populations over 50,000 that are more than 20 miles from other similarly sized cities. Our test measure is the percentage of workers who commute by some means other than a single-occupant vehicle. Using bivariate and multivariate analysis, this study shows a higher quality of life in counties and metropolitan areas with higher levels of multimodal commuting. These findings underscore the positive impact of sustainable transportation policies on quality of life and opens up new directions for research and policy in the built environment. County Health Rankings and Roadmaps. (2013). 2013 County health rankings. University of Wisconsin Population Health Institute. http://www.countyhealthrankings.org/. Halloran, T. M. (2012). Better together? Population density and well-being in the United States. Georgetown University. Master’s Thesis. https://repository.library.georgetown.edu/bitstream/handle/10822/557864/Halloran_georgetown_0076M_11732.pdf;sequence=1. Hedges & Company. (2016). United States vehicle ownership data, automobile statistics and trends. https://hedgescompany.com/automotive-market-research-statistics/auto-mailing-lists-and-marketing. Karagiannakidis, D., Sdoukopoulos, A., Gavanas, N., & Pitsiava-Latinopoulou, M. (2014). Sustainable urban mobility indicators for medium-sized cities. The case of Serres, Greece. Unpublished Manuscript (Conference Paper). www.researchgate.net/profile/Nikolaos_Gavanas/publication/263614081_Sustainable_urban_mobility_indicators_for_medium-sized_cities_The_case_of_Serres_Greece/links/5593e27108ae1e9cb42ae7cd/Sustainable-urban-mobility-indicators-for-medium-sized-cities-The-case-of-Serres-Greece.pdf. Mathis, S. (2014). What if the best way to end drunk driving is to end driving? The Atlantic: City Lab. Retrieved from https://www.citylab.com/transportation/2014/06/what-if-the-best-way-to-end-drunk-driving-is-to-end-driving/372089/. Tabachnick, B. G., Fidell, L. S., & Osterlind, S. J. (2001). Using multivariate statistics. Retrieved 1 Feb 2017. http://tocs.ulb.tu-darmstadt.de/135813948.pdf. U.S. Census Bureau. (2015). Selected economic characteristics. In 2011–2015 American community survey 5-year estimates. Retrieved from https://factfinder.census.gov/. U.S. Department of Transportation (2016). Road and bridge data by state. Grow America: U.S. Department of Transportation. https://www.transportation.gov/policy-initiatives/grow-america/road-and-bridge-data-state.